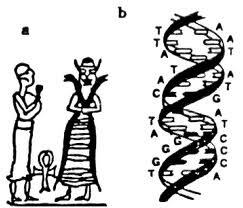 Humanity owes its existence and survival to Ningishzidda, the great architect, geneticist and musician. 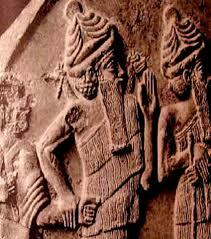 Genetically Nibiran, Ningishzidda birthed on Earth, son of Enki and Ereshkigal. Enki’d seduced Ereshkigal as he took her to run the Climate Station in South Africa. He left her there, pregnant with Ningshzidda. 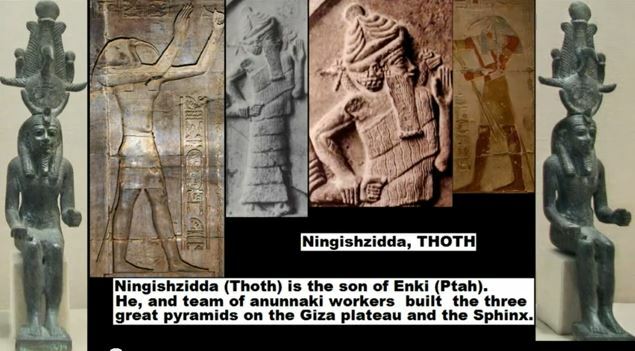 Ningishzidda (aka Thoth, Hermes, Dionysus, Kukulcan, Xiuhtecuhtli, Feathered or Winged Serpent and Quetzlcoatl) joined Enki and Ninmah to create Nibiran/Erectus hybrid Earthlings, Adamu and Adapa. Ningishzidda found the X and Y chromosomes that let us hybrids reproduce. Then Ninghzidda and brothers Adapa and Dumuzi rocketed to the planet Nibiru, where King Anu gave him grains for the Earthlings and told him to protect and foster the new species. After the Deluge 13,000 years ago, Ningishzidda (as Thoth) built the Sinai Spaceport and the Giza Pyramids to guide rockets to the Spaceport. He built a model pyramid, then the Great Pyramid at the South end of a straight landing line–through the Landing Platform in Lebanon (Baalbek) to Mt. Ararat (Eastern Turkey) in the North. He installed Nibirans’ master computer programs and astronavigational equipment in the Great Pyramid itself and hid their records (on indestructable tablets) in secret chambers, the Halls of Amenti, under the Pyramid [Doreal, Emerald Tablets:1]. Ningishzidda (with power tools better than ours to cut and move rock) built two pyramids in Egypt. First he built a model, then the Great Pyramid to mimic in position, the belt of the constellation Orion, where Nibirans’ rockets arrive). 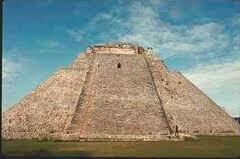 Then he built the Great Pyramid over their records, written on emerald tablets. Ninghzidda hid the tablets in a secret chamber, the Halls of Amenti. He also installed Nibirans’ master computer programs and astronavigational equipment within in the Great Pyramid. 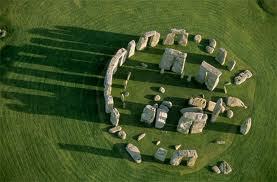 The pyramid itself, he configured as a communication device send to exchange messages directly to Nibiru [Sereda, 2012]. Dunn identifies the Great Pyramid Ningishzidda built as a microwave generating device as well. Enki’s eldest son and heir, Marduk, protested. Statues in Egypt should show Marduk and his sons, not Ninghishzidda. Ninghishzidda (later Marduk’ll chisel the face of his son Osiris to replace Ningishzidda’s). Ningishzidda planned and supervised a castle, temple and fighter-jet hangar for his cousin Ninurta at Lagash. Ningishzidda refused to fight for Marduk and Enki in the Second Pyramid War, though he did, at the bidding of the Council of the Anunnaki, tunnel into the airless chamber and rescue Marduk. Ningishzidda, though a member of the Enkiite lineage, was a matrifiliate nephew of the Enlilites and acceptable to both Enkiites and Enlilites as Nile Delta ruler. So Enlil, at the Peace Treaty of 8670 B.C., made him ruler of Egypt. Ningishzidda oversaw the Nile for 1,560 years when only pure-blooded Nibirans ruled there. But then Marduk returned from exile and for the next 350 years, sent armies in Egypt against Nigishzidda’s. Finally, Enki, their father, ordered Ningishzidda to leave Egypt to Marduk. Ningishzidda moved on: he guided the building of Stonehenge. In 3113 B.C., after he’d finished Stonehenge, he shipped Middle Eastern-looking Sumerian and Black African overseers and technicians with him to Mesoamerica, where the descendants of Ka-in, whom he’d marked with facial hairlessness, called him called Quetzalcoatl, the Winged Serpent. 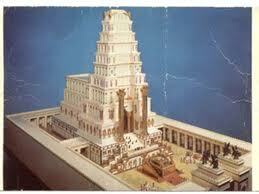 He taught them math, astronomy, calendar calculation and temple-building. He showed them how to line up with the stars and the signs that Nibiru was nearing. Atop the Andes, he designed a spaceport and tin and gold-processing plants for his cousin, Enlilite General Adad/Viracocha. 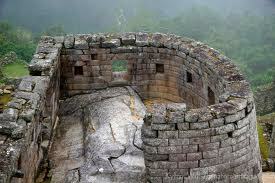 Ningishzidda built planetariums throughout Central America.